Great for those hard to reach areas. 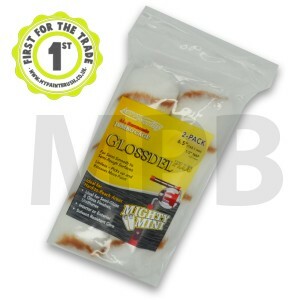 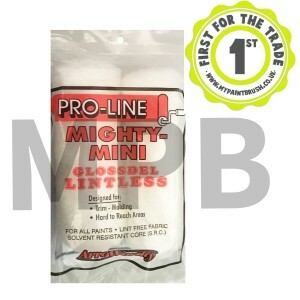 Multi purpose fabric good for all paint. 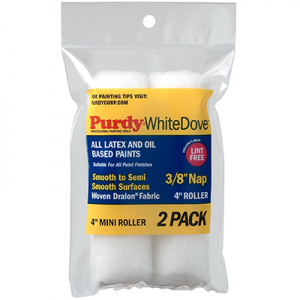 Purdy 4" White Dove 3/8" Nap 2 Pack Purdy's most popular roller covers … use with all.. 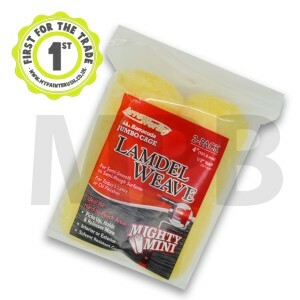 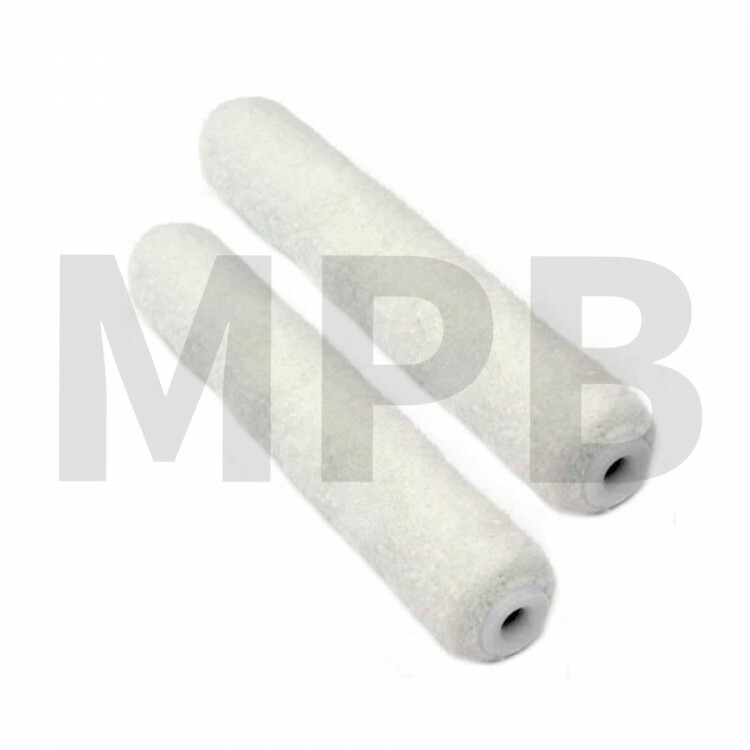 Size: 6.5" Nap: 3/8" Lint free fabric Solvent resistant core Great for those hard..
Arroworthy Jumbo Core Glossdel Plus Roller Sleeve Twin Pack Size: 6.5" Nap: 3/8" ..
Arroworthy Jumbo Core Lamdel Weave Roller Sleeve Twin Pack Length: 4" Nap: 1/2" ..